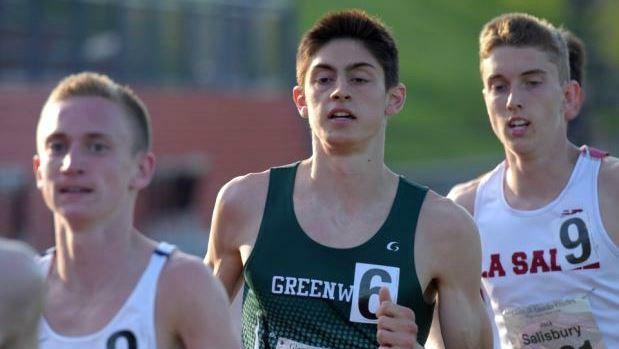 The 3,200-meter run at the Loucks Games was one to remember on Friday night with 10 runners under nine minutes! And La Salle Academy was part of it. New York's Mike Brannigan of Northport took individual honors with a nation No. 1 of 8 minutes, 42.92 seconds. The Rams' Jack Salisbury finished eighth in the race with a new state record of 8:56.55. Just a few strides behind was junior Matt Bouthillette in tenth with personal best of 8:59.71 clocking and on his heels was sophomore D.J. Principe, who nearly dipped below the nine-minute barrier with a PB of 9:00.31. East Greenwich Tommy Sommer was 23rd in 9:34.36. 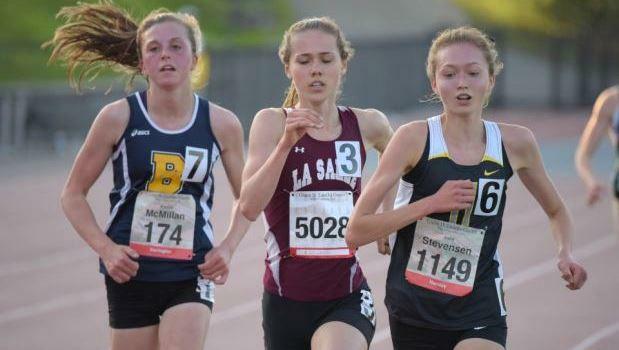 In the girls' race, La Salle senior Sheridan Wilbur and Barrington junior Emma McMillan placed among the leaders. New York's Bella Burda of Arlington won with a time of 10:24.84. Wilbur was third at 10:37.22 and McMillan took fourth in 10:38.08. North Kingstown's Bethany Nunnery was 13th overall in 11:08.52. Also on Friday, La Salle's Dan Paiva was 24th in the 800m with a time of 1:58.24 and Hope's Quashira McIntosh placed fifth in the 100m at 12.16.